NASA’s history with nuclear power dates all the way back to the early 1960s when the U.S. Navy launched a navigation satellite powered by nuclear energy. Nuclear energy’s ability to withstand the most extreme conditions has made it an important part of space missions, including the Mars 2020 mission. The next journey to the Red Planet will focus on bringing back soil samples and exploring the atmosphere of Mars to determine its habitability for human life. A RPS works like this: Through the natural decaying process, isotopes produce a tremendous amount of heat. In the case of an RPS, as the isotope plutonium-238 decomposes the heat is converted into electricity which in turn is used to power travel through space. Plutonium-238 is an artificial element with a half-life of 88 years. The longevity of nuclear energy makes the RPS an ideal and reliable source of power generation even under the harshest of circumstances. The challenging environment includes temperature extremes not known to earth. Take the moon for example. Temperatures on the surface of the moon can fluctuate between highs of 125 degrees Celsius and lows of -175 degrees. Another challenge with travelling to the outer reaches of the solar system, such as with the New Horizons missions, is being able to conduct research in the dark, requiring a power source that can still operate without the energy of the sun. For the Mars missions, a big factor in power selection is dust. 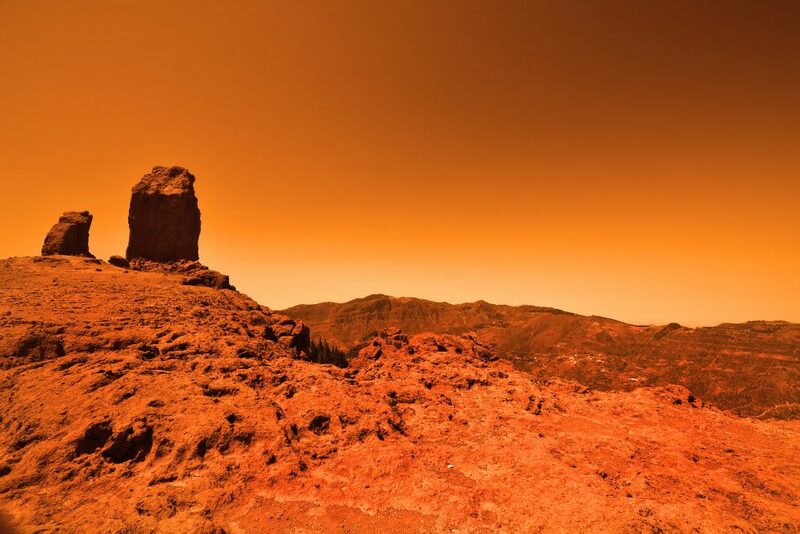 During its infamous dust storms, the red planet can kick up dust to last for weeks at a time, coating “continent-sized areas,” according to NASA. Nuclear power has the added benefit of being compact. Compact size isn’t just beneficial, it’s required when working in outer space. Einstein’s theory of relativity (E=Mc2), essentially states that the further the distance you want to travel, the more speed is required, therefore the mass of the object travelling must decrease. The Rover for Mars 2020 will be about the size of a car and will measure approximately 7 feet in height. The nuclear powered MARS 2020 mission will launch in the summer of 2020 and could provide new clues to past life on the not so distant planet. Posted on February 8, 2017 by Erin Polka. This entry was posted in Uncategorized and tagged Mars, Mars 2020, NASA, Nuclear Power, plutonium, radioisotope power systems, Ralph McNutt, RPS. Bookmark the permalink.